In February, the first superhero movie of 2018, Black Panther, hit theaters. The film won over audiences all around the globe and became a great success, earning an astounding $1.3 billion at the worldwide box office. Black Panther‘s theatrical run is slowly coming to an end, but the rest of 2018 is particularly exciting for superhero fans. While projects like New Mutants and X-Men: Dark Phoenix, originally scheduled for release this year, were pushed back to 2019, there’s still an incredible superhero lineup on the way in the coming months. 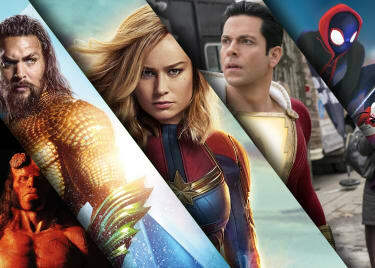 Keeping track of the constant stream of big screen superhero adaptations released each year can be a bit daunting, but we’ve got you covered. Here’s a comprehensive list of all the superhero films we have to look forward to in the rest of 2018. Directed By: Joe & Anthony Russo. Avengers: Infinity War will bring together Earth’s Mightiest Heroes and the Guardians of the Galaxy to face off against Thanos (played by Josh Brolin), a powerful alien who plans to use the Infinity Stones to wipe out half the universe. Unfortunately for our team of superheroes, the Mad Titan won’t be alone in his journey. The big purple guy will be accompanied by his children, the Black Order, and an army of aliens known as Outriders. The superhero epic will mark both an ending and a new beginning for the Marvel Cinematic Universe. On one hand, the film will close out a storyline that started ten years ago with Iron Man. On the other hand, it will also open the MCU to a variety of exciting storytelling possibilities. The Merc with a Mouth returns to theaters this year with Deadpool 2. While Deadpool kept things fairly grounded by focusing on Wade Wilson’s journey to become the mercenary we know and love, Deadpool 2 will turn the action up to 11 by placing Deadpool right in the middle of a time-traveling adventure courtesy of Cable (Josh Brolin again), a hardened antihero from the future who travels back in time to kill a young mutant. Aside from continuing Wade Wilson’s story, Deadpool 2 is expected to expand the X-Men franchise through the introduction of Domino (played by Zazie Beetz), a mutant capable of manipulating luck, and the clandestine superhero group known as “X-Force.” Fox is currently developing an X-Force film, so Deadpool 2 will most likely serve as a jumping-off point for the project. We said there’s an incredible superhero lineup this year, and we meant it. Despite being released 14 years after The Incredibles, Incredibles 2 will pick up right where its predecessor left off. Following their battle against Syndrome and the revival of superheroes in the public eye, the Parr family members have a lot on their plate. Helen is contacted by a powerful businessman to revive her Elastigirl persona and bring superheroes back into the spotlight. While that’s happening, Bob is left at home to watch after the kids and handle Jack-Jack’s newly-discovered abilities. As if that wasn’t enough, the superhero family (alongside trusty partner, Frozone) is also forced to deal with a mysterious new villain. Yeah… superhero life isn’t easy. A little over two months after the release of Avengers: Infinity War, Marvel Studios will explore a different corner of the MCU in Ant-Man & The Wasp. The film is set shortly after the events of Captain America: Civil War and will follow Scott Lang as he’s approached by Hank Pym for a mysterious mission that will pit him against a villain known as Ghost (played by Hannah Joh-Kamen). Fortunately for Lang, he won’t be alone in this new adventure. This time around, the tiny fella will be joined by the Wasp, a.k.a. Hope Pym (played by Evangeline Lilly). The movie will also introduce a few exciting new players into the MCU, such as Bill Foster (Laurence Fishburne) and the original Wasp, Janet van Dyne (Michelle Pfeiffer). Going by its premise and heart-pumping first teaser, Ant-Man & The Wasp seems to be another worthy addition to the ever-growing MCU. It took a few years to get off the ground, but Venom is finally swinging into the big screen later this year. Eddie Brock has mostly been portrayed as a villain in the comics but the movie will give him (and his volatile gooey alter-ego) a more heroic spin. 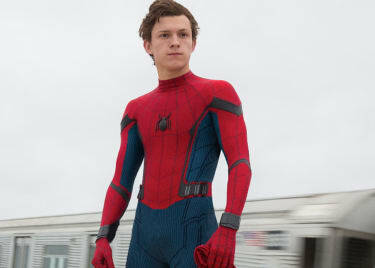 As revealed by director Ruben Fleischer, the film draws inspiration from the ‘Lethal Protector’ and ‘Planet of the Symbiotes’ comic book storylines. According to reports, Venom will be a mixture of horror, action, and sci-fi. That’s very promising, given how it’s a combination that hasn’t really been seen in comic book movies before. Venom is a particularly ambitious outing for Sony, as it’s expected to be the first installment in a new Spider-Man-centric cinematic universe. Directed By: Peter Ramsey, Rodney Rothman, and Bob Persichetti. Avengers: Infinity War won’t be the only film to feature Spider-Man this year. The web-slinger will also get the chance to shine on Sony’s latest animated feature, Spider-Man: Into The Spider-Verse. 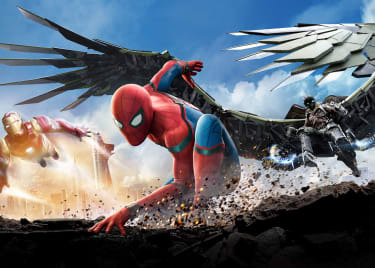 The film, written by The Lego Movie‘s Phil Lord, seems to have been inspired by 2014’s ‘Spider-Verse,’ a comic book event that brought together numerous Spider-Men from different realities to defeat Morlun, a reality-hopping villain obsessed with destroying our beloved web-slinger. Interestingly, even though Into The Spider-Verse will most likely feature a large variety of Spider-Men from across the multiverse, the plot will be centered around Miles Morales, character fans have been eager to see on the big screen for a long time, following his introduction in the Marvel’s Ultimate comic line in 2011. Justice League introduced audiences to the DCEU’s version of Aquaman, aka Arthur Curry, played by Jason Momoa. Now the trident-wielding hero will get the chance to shine on his own in Aquaman. According to reports, the upcoming standalone adventure will play with Aquaman’s dual nature, showing the hero constantly struggling to balance his human life with his duties as future king of Atlantis. Of course, every superhero film needs a villain. In the case of Aquaman, the people set to wreak havoc in Arthur Curry’s life are Black Manta (played by Yahya Abdul-Mateen II) and, most importantly, Arthur’s evil half-brother, Orm (Patrick Wilson). Orm and Curry have a very compelling hero/nemesis dynamic in the comics so it will be interesting to see how their relationship translates into live action.